Little Big Town, Halestorm and "Girl Crush"
If you haven't heard, apparently some country radio stations are relegating Little Big Town's most recent single "Girl Crush" to low rotation. The reason? Listeners have been calling in complaining about the stations pushing a lesbian agenda. There is only anecdotal evidence of this as far as I can tell. There are scads of these reports all over the internet. I'm not going to link, just Google it. You're reading this, you have access. If you listen to the song, it's about jealousy and has nothing whatsoever to do with lesbianism. But according to some reports, those complaining don't care to even entertain that conversation. Then came the reports that this controversy was all over blown. That there really weren't many complaints being logged. Whatever. I'm just using this controversy non-controversy controversy as an excuse to post another Halestorm video. Halestorm opened on several dates of Eric Church's tour and Lzzy made appearances with Church on a couple of awards showing playing and singing with him on "That's Damn Rock and Roll". Also residing and recording in Nashville, Halestorm are no strangers to country music. 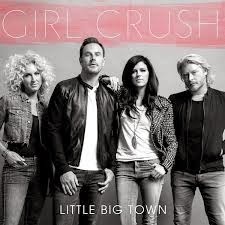 Here is the Little Big Town lyric video of "Girl Crush". Not much can be misinterpreted unless you really try. And this was just posted to YouTube today or last night if you're in Europe (3/28/15) from Halestorm's show in Germany. Halestorm covered "Girl Crush" for the first time. Lzzy didn't offer any explanation to the German audience other it was a song they liked. It was recorded on someone's mobile device, I suppose, so the audio is not stellar, but I've heard much worse. Music. New music. Good new music. That's what I'm loving right now. And there is some good stuff out there. And that's just the stuff that I've found. I probably wouldn't have said that two years ago. Everything new that I heard on the radio, I did not like. Therefore, I mistakenly assumed that nobody was putting out any good music. Then I fired my local radio stations and took matters into my own hands. Spotify, blogs, YouTube and Twitter have led me to the land of good music. If i never hear another Florida Georgia Line song, I will be thankful. I'm not even sure what an Iggy Azalea is. The only Iggy I know is Iggy Pop. We are only three months in to 2015 and there have already been several good records released. The only problem is that you are not going to hear any of that on the radio. My little place here on the internet is dedicated to featuring good music that I like. I don't have the time or energy to spend listening to and then writing about stuff I don't like. I'll leave that to someone else. I love finding good music. I'll continue sharing it here. Join me if you want. If you read my blog at all, you know I don't review stuff I don't like. 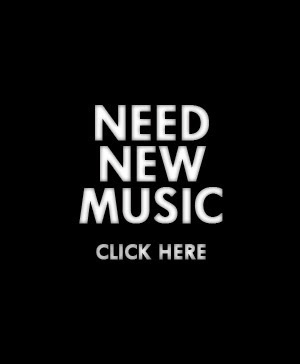 There's enough of that out there, I just want to spotlight those making music I like. 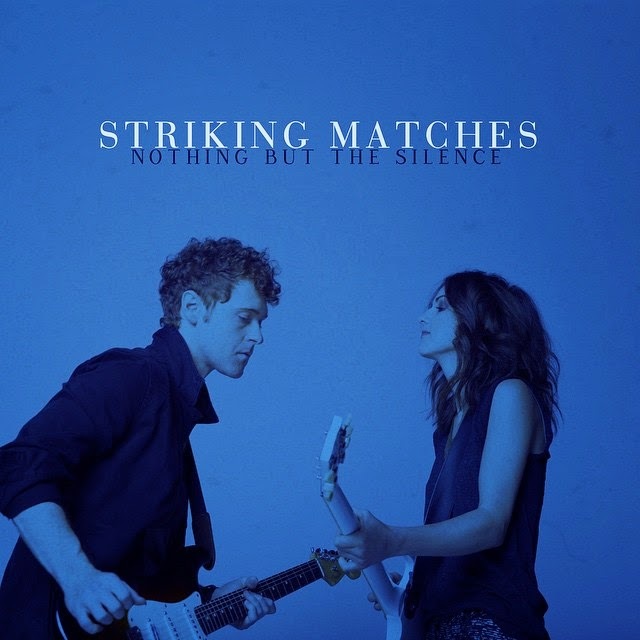 The new record by Striking Matches may be my favorite in 2015 so far. That being said, I do have one problem with Nothing But The Silence. It is being marketed as a country album. While it is so much better than 99.99% of music being played on mainstream country radio, it's just not country. Of course, I have no idea what country music is in 2015. The duo comprised of Sarah Zimmerman and Justin Davis put out and eleven song (nine to eleven is the perfect number of songs for a record) album with no filler. It's all good. Nothing But The Silence was produced by T Bone Burnett. It is two voices, drums, bass and two other stringed instruments, mostly guitar with some mandolin in the mix. It's groovy. And by that I mean it has groove, not Greg Brady groovy. It has soul, something missing in a lot of today's music. There is enough muscle for this headbanger to bob his head. Sarah and Justin's vocals blend seamlessly. But the guitar interaction is what I love the most. Both went to the Berklee College of Music, so they should be good. But that means nothing if the music isn't good. Their diverse styles intertwine magically to create a musical tapestry that is beyond reproach. There are country elements scattered around the record, But to me it has much more of a 70s and 80s rock vibe while sounding new and fresh. Maybe that's why I like it so much. Here is "Hanging on a Lie". Enjoy. I wrote a little bit out Couch by Couchwest on Wednesday. I have not had the time to filter through all of the music on there. But one artist stood out when I heard her. Kate Vargas sent in a new song this year called "Call Back the Dogs". It is not on her record Down To My Soul from 2014, which of course I had to check out after hearing "Call Back the Dogs". What a fantastic and unique voice. Each song on Down To My Soul takes you on a musical journey with turns down unexpected paths. You definitely won't be bored. You can see the Couch by Couchwest post here. And here is the submission, via youtube. Enjoy. Let’s face it, we’re all too broke to go to Austin, and even if we had the money, we couldn’t get out of work anyway. There’s this pesky thing called “life” that keeps getting in the way. 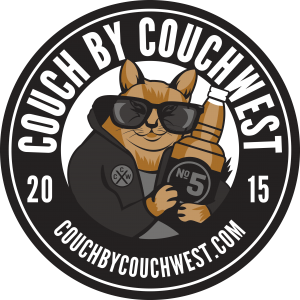 Allow us to introduce you to Couch by Couchwest. CXCW is an annual online music festival that is for everyone. No badges, lanyards, bracelets, parking fees, ticket lines, exclusive parties, VIP tents, porta-potties, babysitters, dogsitters, expensive beer prices, or crappy hotel rooms…just the sweet comfort of your own couch. Here’s how it works, artists and bands from all over the globe record a video performance for us from their living rooms, kitchens, porches, bathrooms, you name it…pretty much anywhere but a stage…and we post them during the week of the festival (March 15 – 21, 2015). Listen, you’re not the only person out there stuck in an office or a classroom or at home while all the supposed “cool kids” are trudging through the crowds of Austin. We are here for you, friends! So crack open a beer and a laptop, crank up the volume, and enjoy the couch! I'm also loving that because of the internet and streaming services I'm not relegated to the crap that mainstream radio is shoving down our throats, especially with country music. Little mini-rant there. I'm over it. I'm loving the new Allison Moorer record Down To Believing. I spotlighted it yesterday. Here's the video for the track "Like It Used To Be". Enjoy. She was not the only artist who doesn't exist to release a record yesterday. Houndmouth also dropped Little Neon Limelight. This is "Sedona" from that record. Now go buy a CD. Support music you like. Allison Moorer released her 8th studio record Down To Believing. I can't compare it to any of her previous albums because I have just recently discovered her. That's on me. But what I can compare it to is the rest of the music out there right now and it stacks up among the best. This record comes after her divorce from Steve Earle. There's a lot of emotion on the album that undoubtedly comes from that. I don't know how classify music anymore. Country music is all EDM, rap and Southern Rock infused. Rock music is dead on radio except for classic rock. Pop music is just basically unlistenable. Down To Believing falls somewhere in the vast wasteland of good music that nobody ever hears. Does it even exist? This ranks in the top two or three records released this year for me. And that speaks well of what has come out so far because top to bottom this is an excellent record. There are country influences. There are some blues-tinged songs. There are songs that would have been pop radio friendly in the 80s. It's not fair to try to put a label on this record. If you like Ryan Adams, Rosanne Cash, Holly Williams, Justin Townes Earle, the Eagles or Linda Ronstadt there will be something for you on this record. Here is the video for "Like It Used To Be". Enjoy. There's a thing called Couch by Couchwest which I'll get into later this week. 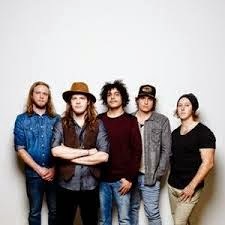 But through that I found The Glorious Sons. They are a Canadian band cranking out some good rock music. They released an album back in September entitled The Union. This song, "Heavy" comes from that. Two words: It Rocks. Striking Matches Release New Video For "Hanging on a Lie"
Striking Matches released a video for the song "Hanging on a Lie" from their forthcoming album Nothing But the Silence set to come out March 23rd. Everything I've heard so far from the record had been great and this is no exception. It's being billed as country, but it's not. It's just good music. Enjoy. So Sunday was something called International Women's Day. Whatever that is. I just used it as an excuse to dig into some of favorite female artists. This is pretty much just chicks that rock. And by no means all inclusive. There are so many fantastic women in rock. And after saying that, I'm going to start out with a country song. Of course it has Pat Benatar, so it counts. Here is Benatar along with country powerhouse Martina McBride doing McBride's "Independence Day" on CMT's show Crossroads. I love Stevie Nicks. Her voice anyway. Always have. Instantly recognizable and unique. This is a live performance from 2011 of her song "Edge of Seventeen." Still sounds and looks great. Ann and Nancy Wilson of Heart were my first chicks that rock loves. So talented. Here they are playing Led Zeppelin's "Stairway to Heaven" with the surviving members of Zep in the audience. Notice how happy Jimmy Page is with this rendition. Original Runaway, the lovely Lita Ford, is still bringing it with new music. I'm partial to this cover of Alice Cooper's "Only Women Bleed" which brings a much needed female voice to the song. I'm hanging onto the theory that rock is not dead. At least as long as there is still young talent making rock music like 16 year old Gabbie Rae. Listen to good music. Enjoy the music you like. I'm going in a little different direction this week. There will still be music, but there's other stuff that needs to be addressed. I love how Curt Schilling called out the twidiots (twitter idiots) after they started in on his daughter. I don't revel in anyone losing their job, but one of the most egregious offenders did. I can't say that he didn't deserve it. You can read Schilling's blog post here. We all know how Ronda Rousey destroyed Cat Zingano in fourteen seconds in latest fight. This very well-written piece for ESPNw on Zingano was penned before the fight. Very compelling. Very heartbreaking. Very enlightening. If you like a good story and good writing, check it out. I love that we do now live in a world of social media that calls people out on their ridiculous statements. Such was the case when Gary Overton, CEO of some big Nashville music label said the following. "If you're not on country radio, you don't exist." Imagine my disdain when I found out that most of the music I like and listen to does not exist. I felt duped. Google that phrase and Gary Overton and you will find many scathing comebacks. My favorite was from Texas/Red Dirt artist Aaron Watson who said in an interview with Saving Country Music, "My name is Aaron Watson. I'm not played on country radio. And I have the number one record in country music this week. I do exist." The Black Star Riders are made up of some the original members of classic rock staples Thin Lizzy. They've been kicking around ever since the death of frontman and bassist Phil Lynott, playing shows of Thin Lizzy's classic music. When they decided to put out a record of new music, they didn't want to put it out under the Thin Lizzy moniker out of respect to the late Lynott. If you're a fan of Thin Lizzy, the Black Star Riders' latest release is great. Here's the title track, "The Killer Instinct". The next song is a few years old, but it's worth sharing. This is Corey Smith with "Twenty One".